For over more than a quarter of a century I’ve been creating unique projects from branding and marketing, interactive and experiential art, to the creation of community organizations and events. I’ve been helping the private sector, civic organizations, and nonprofits tell their story, create vibrancy, build followings and awareness. My unique blend of storytelling and visual mastery stems from my ability to leverage technology in a more humanistic manner that connects people, captures fans, encourages community and participation, creating ambassadors for the cause. I’m a father, experiential artist, composer, filmmaker, and lifelong self-defense instructor. I believe in doing good. I possess strong storytelling abilities. I’m able to conceive, plan, communicate, and produce complex projects in a variety of media and executions. I am both self-motivated and self-sufficient, and I work well with a team. We're passionate about people, stories, and experiences. Cat and Fish specializes in storytelling through filmmaking and the experiential. Since 2012 Cat and Fish has been creating unique branding and marketing projects, experiential art and events, and produces films and documentaries both internally and externally. Launched in 2012 SE2M (Sites easy to Manage) streamlines easy to use, high quality websites for the budget conscience. SE2M focuses on services for individuals, small business, civic organizations, and non-profits. 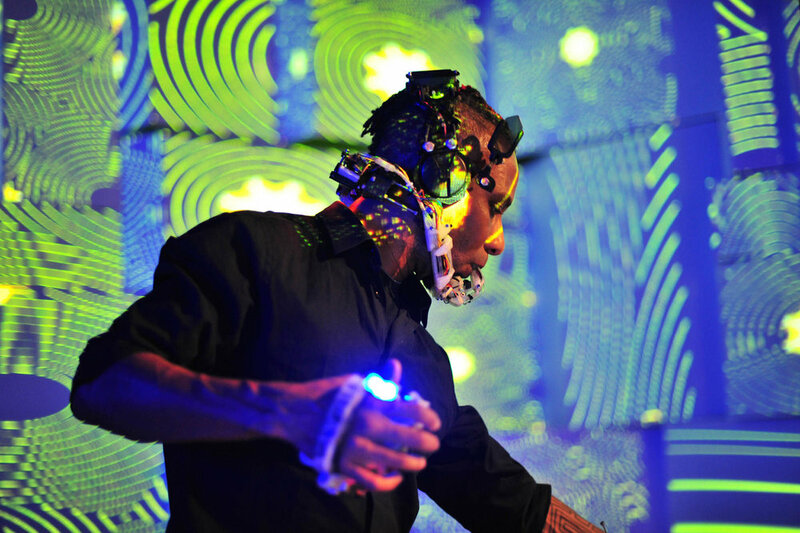 EXPERIENTIAL ARTIST COMPOSER COMBINING LIGHT, SOUND, AND SPACE. 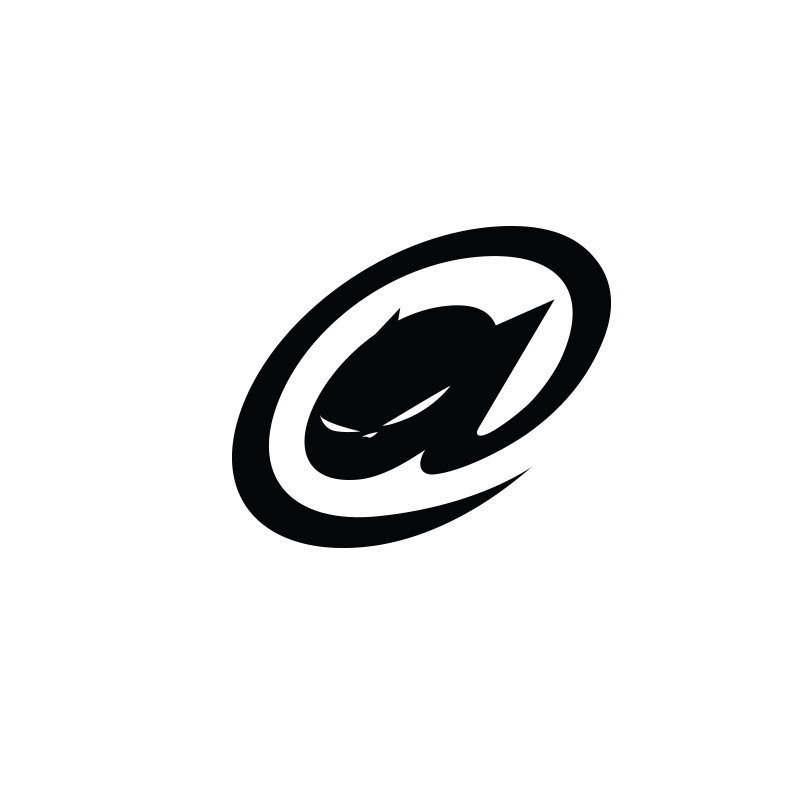 Since 1995 I’ve been using Made by Ninjacat as an artistic moniker to describe my various creative projects. Specifically Made by Ninjacat reflects my personal interest in interactive musical compositions and soundscape. Lifelong, 3rd generation self-defense practitioner of Original Hardstyle Kajukenbo Karate. 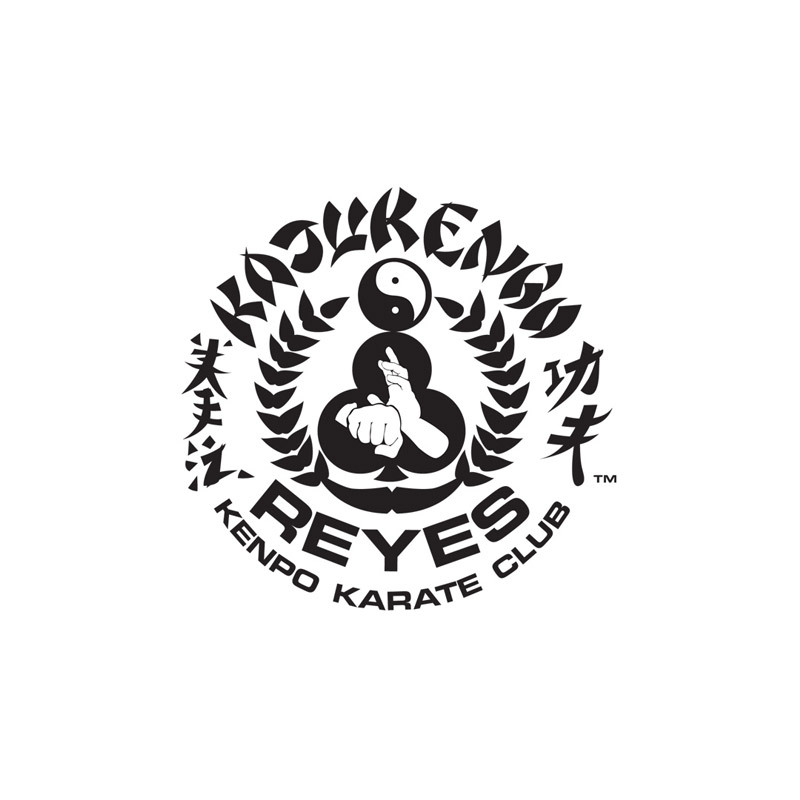 I studied under my grandfather, the late Great Grandmaster Aleju Reyes and my father, Senior Grandmaster Alan M. Reyes. My family protects and shares the knowledge of the Emperado Method. LFM was dedicated to the success of local artists and creatives in the Memphis area. LFM actively engaged in local placemaking more than a decade before the trends, establishing ongoing relations with civic and community organizations. Our motto; Connect, Collaborate, Create, exemplified the spirit of our collective attitude. Best known for our creative projects, films and unique events, LFM created thousands of live audio recordings, video documentaries and stories. LFM boasted the largest online resource of contemporary Memphis music, film, art, and culture representing over 10,000+ local creatives. My vision of the LFM community anchored by a first class performance facility was never realized. Hopefully one day I can relaunch LFM. 60 Seconds, Art Is Memphis, Bikesploitation, Capture Crew, Court Square Summer Series, Disposable Art, Film Memphis TV, Flipside Memphis TV, Get Down TV, Ink Off, LFMTV for Broadcast, LFM U, Li’l Film Fest, Locals Only Radio, Memphis Creative Directory, Memphis Music TV, Mobile Music Machine, Music Video Showcase, My Memphis, Nothing to See Hear, Rhodes TV, See Where the back Roads Take you, The Bike Project. Duties: Company branding and creative direction, site and interactive development, creative direction, design, shooting, editing, sound recording, photography. 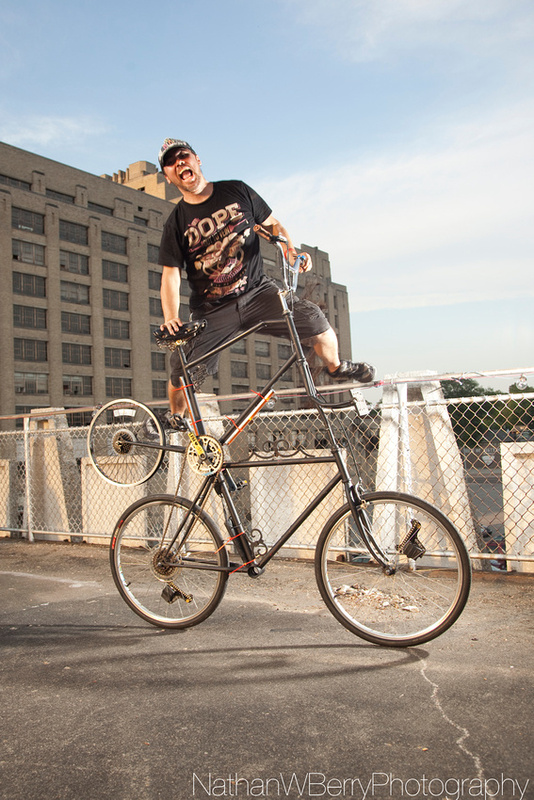 Services: marketing, event partnerships, event coverage, webisodes, experiential projects. We worked with hundreds of Memphis organizations not limited to, ArtsMemphis, City of Memphis, Memphis and Shelby County, Convention & Visitors Bureau, Downtown Memphis Commission, Memphis & Shelby County Film & Television Commission, Indie Memphis, Urban Art, Stax Music Academy, Peace and Justice Center, and many, many more. National projects included: MTV New Media, Red Bull, Camel, Mississippi Delta Tourism Association. A full service design group specializing in interactive development for corporate and entertainment. Services Included: CDROM, EnhancedCD, Kiosk, and website development, training and educational tools, promotional videos, and broadcast commercials. Duties Included: Company branding and creative direction. Project creative, management and production. Film direction, shooting, editing and sound design. On the forefront of technology Ardent Media was one of the first interactive record labels to launch interactive music products in 1992. We developed a proprietary software and process to create an interactive entertainment product called AVCD (Audio Visual Compact Disc). A red book audio CD that contained yellow book data. Later these types of interactive CDs become known in the industry as Enhanced CD, CD+, or E-CD. What set AVCD apart from the other formats is that AVCD could play from the red and yellow portions of a single spin CD at the same time. After the media group dissolved I continued making ECDs for the label and eventually ported my interactive radio players and albums to the internet. This became the foundation that would become Live From Memphis. Duties: Project branding and marketing materials. Enhanced CD, website development, design, film, and music video production. Creative: Able to conceive unique solutions and concepts. Management: Able to conceive, plan, communicate and produce complex projects in a variety of media and executions. Visual Design: Able to design for print, video, or interactive. Expert knowledge of Adobe Photoshop, Illustrator, Bridge, and InDesign. Filmmaking: Able to manage, produce, shoot, and edit. Specializing in post production and motion graphics. Software experience includes: AVID, Final Cut Pro, Premiere and After Effects. Composition / Sound Design: Able to compose original works specializing in electronic and hybrid genres. Also capable of sound design for film and motion graphics. Interactive / Web Development: Able to plan, manage, and produce complex interactive projects. Experience with Director, Flash, Joomla, Wordpress, Drupal, HTML, CSS and a variety of Web Builders such as Squarespace, Weebly, Shopify, and others. In 2004 My Memphis was my solution to attracting young professional talent to Memphis. Sponsored by the City of Memphis, Shelby County, and the Memphis Chamber of Commerce, My Memphis takes you into the real world of local Memphains, revealing their personal stories, experiences, and thoughts about their lives and how they relate to Memphis. The Project included a Website, a series of 40+ mini interviews and a 3 part introduction to Memphis on DVD. The film received a standing ovation from a packed house. We produced 50+ episodes that explored the Memphis arts scene and taped into the creative lifestyle and energy that defined our creative community for both broadcast TV and the internet. Flipside Memphis explores our city with a fresh new attitude and taps into the undiscovered Memphis and was sponsored by the Memphis Conventions and Visitors Bureau. 60 Seconds highlights individuals in the Memphis area "doing their thing." It's 6.67% of your 15 minutes of fame! We showcased over 300 local artist in this web series and on LFMTV. 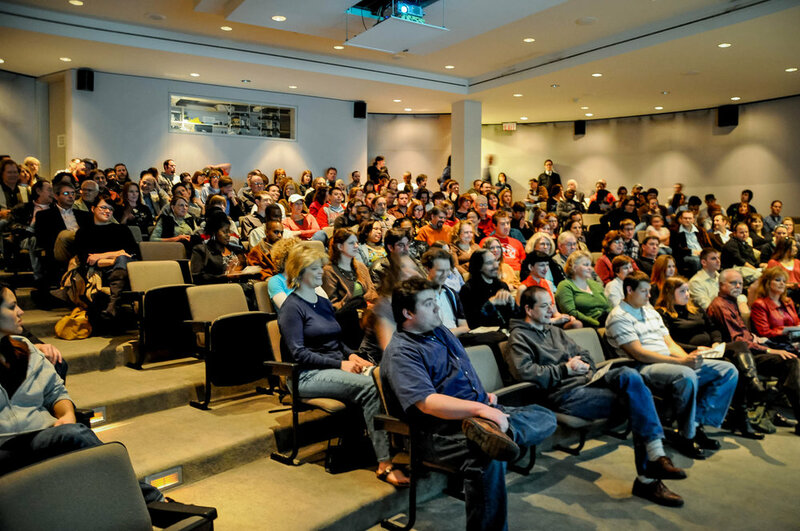 Produced entirely by interns and volunteers, this show helped to train and educate would be filmmakers on the production cycle from planning, scheduling, production, post, web, and marketing. LFF was a quarterly film festival that showcased up and coming talent connecting filmmakers, actors, and crew. It helped to kickstart and connect a whole new generation of Memphis talent. The Li'l Film Fest ran from 2006-2010. Our partners included Indie Memphis and The Memphis and Shelby County Film and Television Commission. Not only was there a cash prize of $500 for the jury award but audience choice took the door admissions. If a team of filmmakers won both awards they typically walked out the door with $1,500 cash in hand. At the time this was the largest filmmaking award available in Memphis. MVS connected both local filmmakers and musicians for a chance to "rock the big screen!" The MVS music video festival ran annually for 7 years! 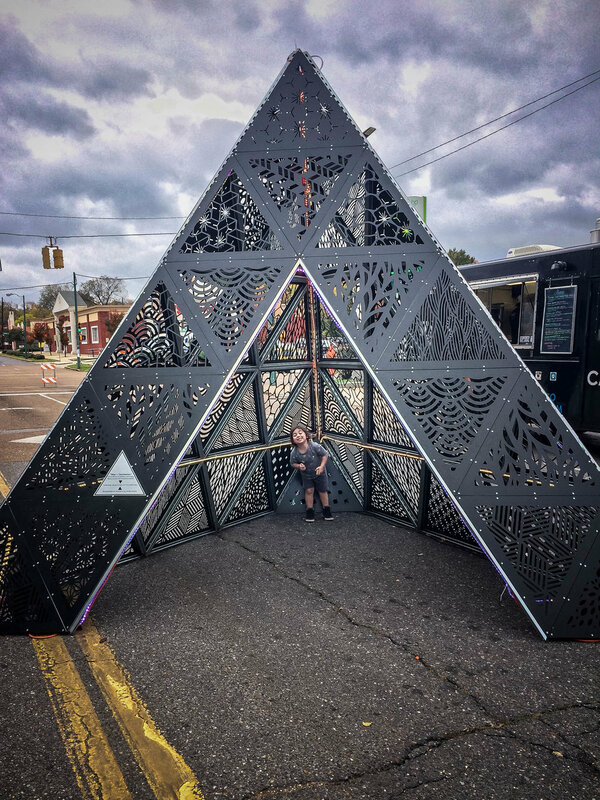 MOD is an outdoor immersive light and sound installation constructed from 66 equilateral steel triangles with a laser cut steel lattice forming a 14’x12’ pyramid weighing more than 2000lbs. Mod is a reconfigurable, experiential artwork and construction system. Originally commissioned by Indie Memphis, UrbanArt, and Cat and Fish, LLC. for the 2017 Indie Memphis Film Festival, the piece was purchased by the Downtown Memphis Commission to live permanently in Downtown Memphis. Back in the Pond a collaboration with Muralist Michael Roy (aka Birdcap) was commissioned by the Downtown Memphis Commission. By day, it’s a 25’x16’ color mural, but by night the mural comes to life. Featuring a 20 minute sound and animation performance loop, Back to the Pond utilizes automated projection, video mapping, and original sound design. GonerFest XIII is an audio visual mural installed for Memphis’ largest punk rock festival. The 2D cat head features an audio reactive projection mapping. 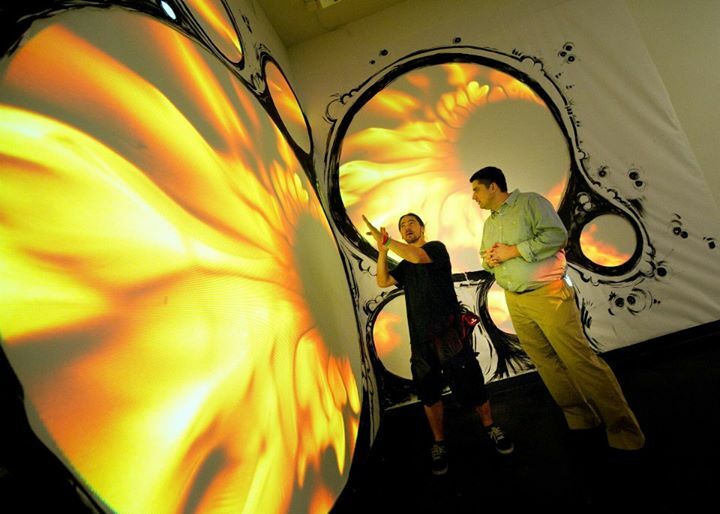 FISH is an immersive, site-specific, underwater world combining light, sound, film, projection mapping, murals, with 2D and 3D elements in a gallery setting. Fish is a collaboration by Laura Jean Hocking, Sarah Fleming, and Christopher Reyes. 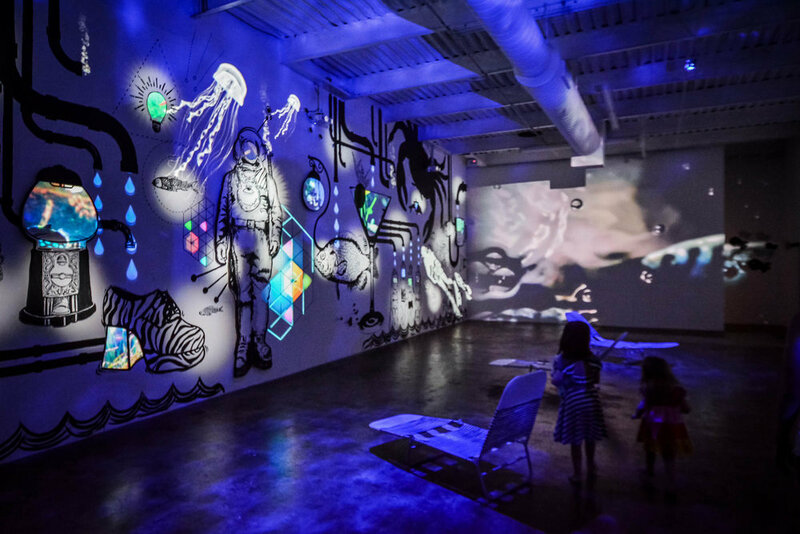 A collaborative audio visual mural by Birdcap (Michael Roy) and Ninjacat (Christopher Reyes). By day, a black and white mural, but by night the mural comes to life. Featuring a 20 minute sound and animation performance loop. 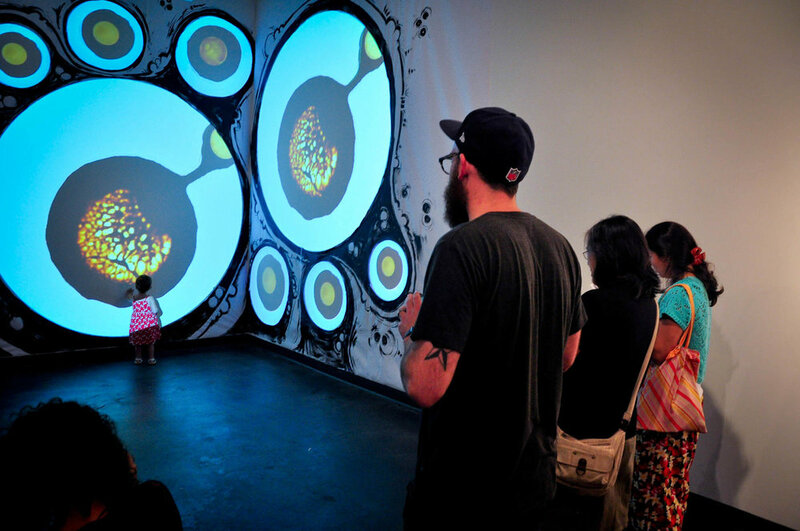 Birdcat Pie features a traditional mural augmented with projection mapping, and original sound design.The Moonpie Project is a year-long series in memory of muralist Brad Wells. NFO is a site specific Sci-Fi audio visual experience, metamorphosing a 1950s fire station into a unidentified flying saucer. Scenography for a Deering and Down music video utilizing the architectural space of the historic Cadre building. Flight is a audio and visual experience inspired by the purpose and location of ArtsMemphis' Conservation Through Art 2014 Celebration Dinner. 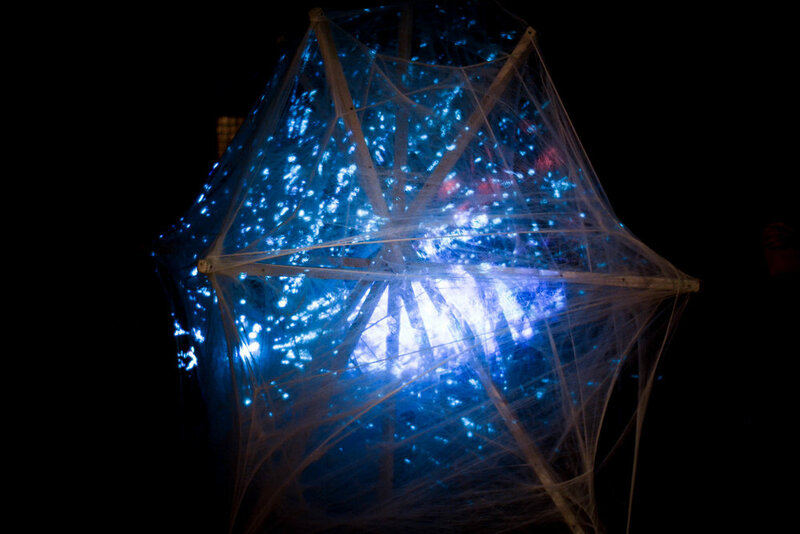 Nebula is an audio visual sculpture inspired by the work of St. Jude researchers. The piece is an artistic representation of the human brain. 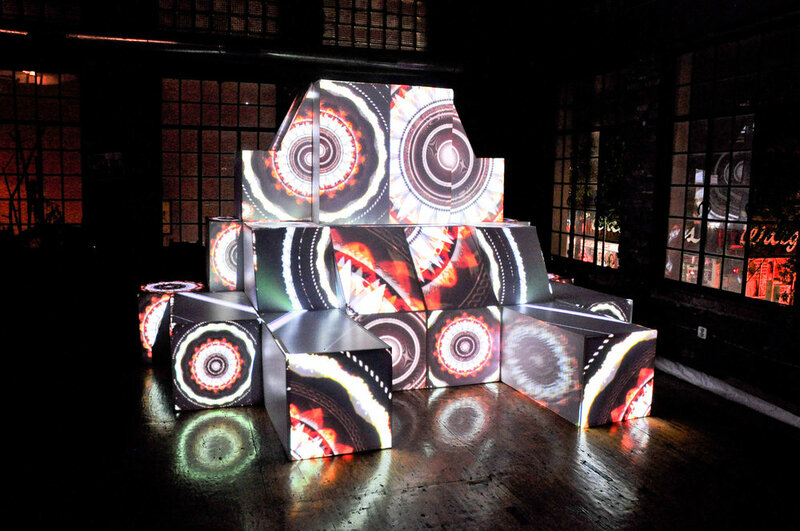 Scenography for a live performance by the German based artist and digital manipulator Onyx Ashanti. GonerFest X is an audio visual mural installed for Memphis’ largest punk rock festival. It features a 20 minute narrative documentary at the heart of the mural. Metal Worx is an audio and visual experience celebrating and inspired by the work of the National Ornamental Metal Museum and designed specifically for the Julius Blum Library building. 98% of the imagery was shot by Christopher Reyes and Sarah Fleming on location, over 5 plus years for various Metal Museum projects. Cycle is audio visual narrative mural. Created by Christopher Reyes and San Francisco based artist Kim Pimmel. ’Cycle' represents the life and death cycle of a cell and is based on the work of Dr. James Cripps at the St. Jude Children’s Research Hospital. Cycloscope is an audio video sculpture created for Bikesploitation 3, the bicycle, music, film and art festival and influenced by the Phenakistoscope, a widespread animation device developed in early 1800s. Experiment in a three dimensional space, repetition, and rhythm.